The IPS Fulldome Festival in Brno is now under way. 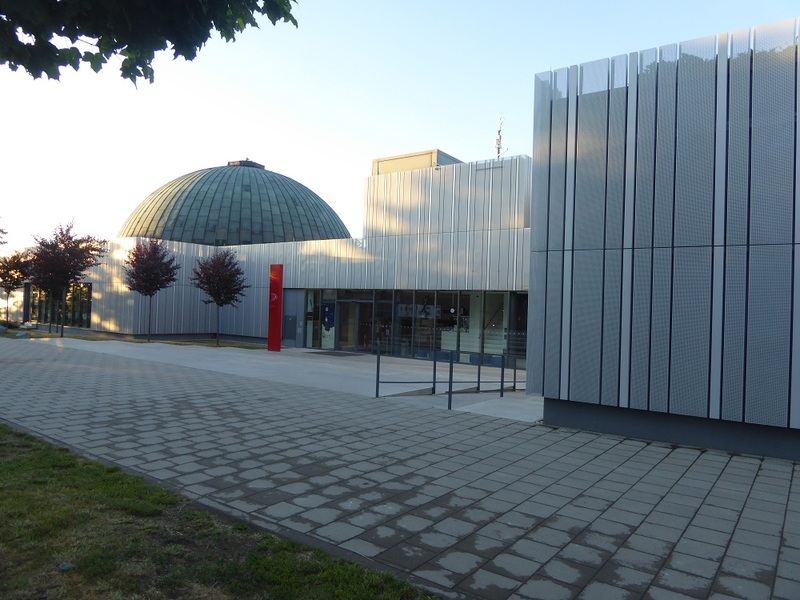 The Brno Planetarium is a really impressive facility. Located at the observatory on a hill top above Brno they have two domes. The larger dome is 17metres, with a 7 degree tilt, seats 189 and runs an RSA Cosmos system. The smaller dome is only 6 or 7 metres and uses a optical star projector. The entire facility was completely upgraded around four years ago. They have done a fantastic job, the planetarium theatres are both really comfortable (excellent seats) and the building is modern and beautifully designed. One other great feature is their rooftop deck which includes observing telescopes that have a retractable roof. The festival have been under way and the schedule has been intense. There are 66 shows (over 26 hours worth) in the competition. And the shows have been running from 9am until 10pm. What is great to see is that the festival has been so well attended. The festival organisers have done a fantastic job, and they have managed to get a really good number of sponsors involved. Today is the last day of the festival and the gala awards will be announced tonight.